Filipino favorite meat dishes Crispy Pata, Lechon, and Kare Kare have been named among Taste Atlas’ Top 100 Best Traditional Dishes In The World – in fact, the Philippines landed 3 times in the Top 10 Best Rated Dishes! Crispy Pata, named one of London’s Romulo Café best dishes, was #1 in the Taste Atlas Best Rated list with a rating of 4.5 and recommended to be sampled best in Livestock Restaurant Bar and 9 more restaurants. 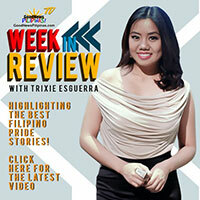 “Crispy pata is one of the most common Filipino dishes served on special occasions. It consists of a whole pork leg that is cooked until tender. It is then dried and deep-fried until golden brown and crispy. At #5 is the meat stew of Kare Kare receiving a rating of 4.3 with recommendations for trying in Marison’s and 14 more restaurants. Taste Atlas describes Kare Kare, named by Huffington Post as a reason to visit the Philippines, “a traditional Filipino stew consisting of meat such as tripe, pork leg, ox tail, goat or chicken, vegetables, and a thick, savory peanut sauce flavored with annatto seeds. Shrimp paste (bagoong) is often served on the side in order to enhance the flavors of the dish. Kare-kare is traditionally cooked in a clay cooking pot known as palayok, and the vessel also acts as a serving bowl once the dish is properly cooked. At #10 is Lechon, now making waves in London, receiving a rating of 4.2 and recommended to be tried at the Mesa Filipino Moderne and 8 more restaurants. “Lechon, derived from a Spanish word for roasted suckling pig is one of the most popular dishes in the Philippines. The slowly-roasted suckling pig is usually stuffed with lemongrass, tamarind, garlic, onions, and chives, and is then roasted on a large bamboo spit over an open fire. It is traditionally served whole on a platter, at celebrations and festive events such as weddings and Christmas. The online food database that promotes the local culinary culture of countries all over the world identified the Philippine meat dishes in among the Taste Atlas top picks for 2019. Let us know in the comments below how you enjoy your own Filipino meat dishes! 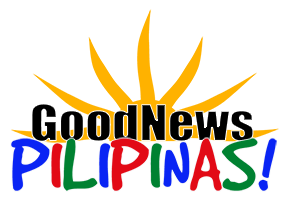 Like, Follow, Subscribe to GoodNewsPilipinas.com Facebook, Twitter, Instagram, Good News Pilipinas! 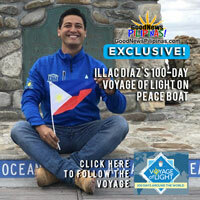 TV on YouTube, new story notifications and e-mail newsletters for updates on more Filipino Pride stories.